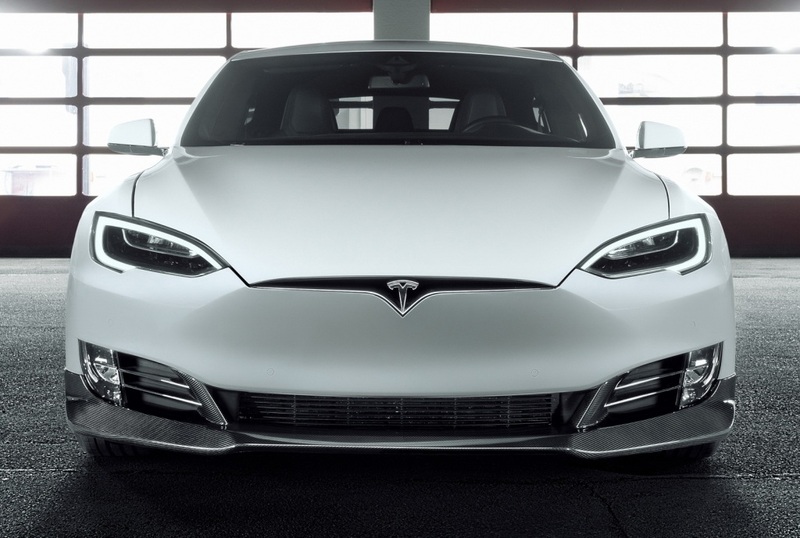 Sporty and elegant looks, even more agile handling thanks to carbon body kit, 21-inch hi-tech forged wheels, ride-height lowering, and carbon-ceramic brakes for the electric sedan. 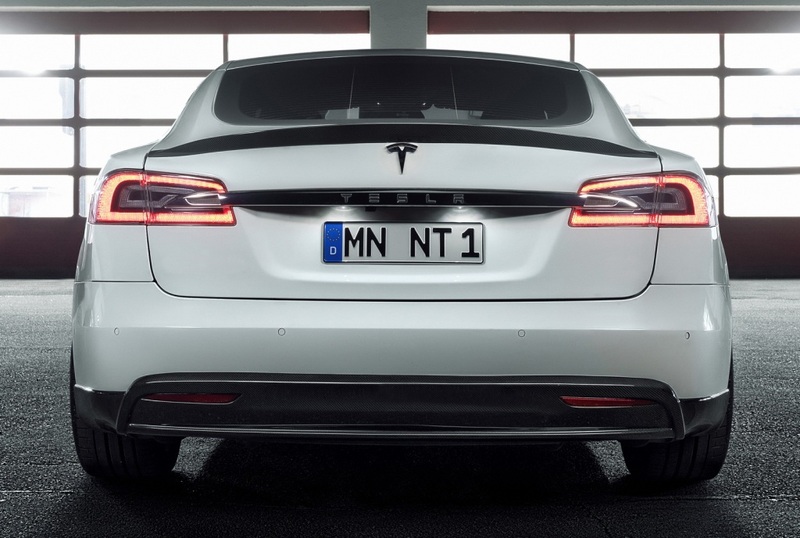 Following the overwhelmingly positive response to the exclusive customization range for the Tesla Model X, NOVITEC now also refines the sedan from the American manufacturer of electric cars. 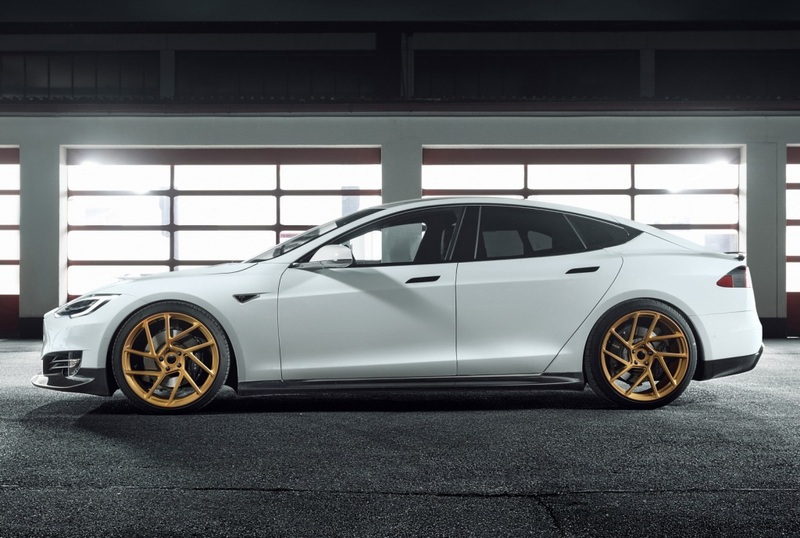 Naked-carbon aerodynamic-enhancement components in concert with ride-height lowering options and 21-inch wheels developed together with American wheel manufacturer Vossen lend the Tesla S a sporty and elegant appearance. 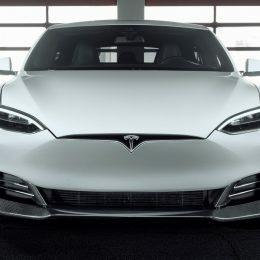 They also offer demanding drivers even further elevated driving dynamics, which can be utilized with even greater safety thanks to a carbon-ceramic braking system. 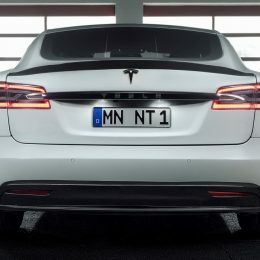 Tesla owners also looking to customize the interior of their electric car to suit their personal taste in every aspect find the right partner in NOVITEC as well: The German refinement specialist crafts exclusive interior appointments in a virtually endless variety of leather and Alcantara colors. 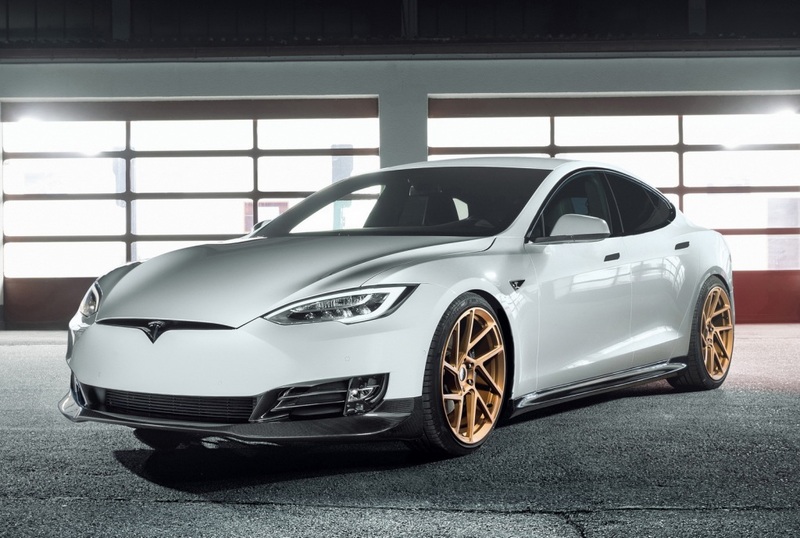 Many owners of a Tesla S wish for a sporty and elegant upgrade for their electric sedan. That is why the NOVITEC designers developed tailor-made naked-carbon components that lend the whisper-quiet four-door car of the facelift generation from model year 2016 on a sporty and elegant touch, while optimizing the aerodynamic properties at the same time. The NOVITEC front spoiler lip attaches to the production bumper and thanks to its sophisticated shape reduces front axle lift at high speeds. This further improves the handling stability. The NOVITEC rocker panels calm the airflow at the sides of the vehicle and give the luxury sedan a lower and sleeker visual stance. The rear end is upgraded with the NOVITEC rear spoiler lip and the diffuser for the production bumper. In addition to providing further enhanced handling stability, these two components also lend the vehicle an even sportier appearance from the rear. 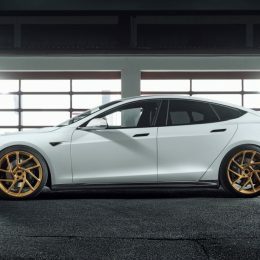 The exclusive NOVITEC looks are rounded off with the NOVITEC NV2 wheels custom-designed for the Tesla S. These hi-tech forged rims were developed in cooperation with Vossen, an American manufacturer specializing in the production of tailor-made alloy wheels for the world’s most exclusive cars. 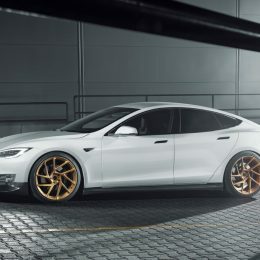 As for the Model X, NOVITEC also opted for the extravagant NV2 design with five slanted double-spokes for the Tesla S. The special feature of these rims is that each individual wheel is manufactured for a specific corner of the car. As a result, the spokes are always in an aerodynamically optimal position relative to the airflow and thus also optimize the cooling of the brakes. Just as special is the range of colors for the new NOVITEC wheels that come in 72 different color variants and are optionally also available with a brushed or polished surface finish. 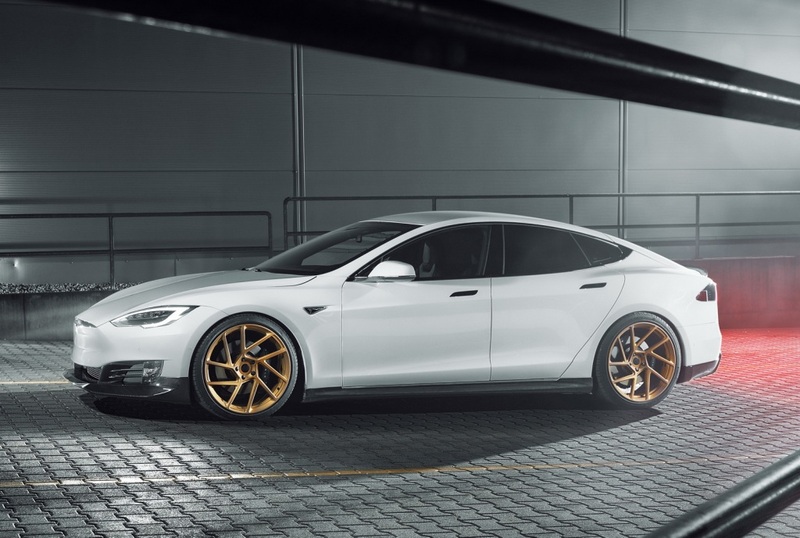 Under the wheel arches of the electric sedan is space for rims of size 9.5Jx21 at the front, shod with high-performance tires of size 245/35 ZR 21. Wheels of size 10.5Jx21 with size 265/35 ZR 21 tires make optimal use of the available space at the rear axle. NOVITEC suspension tuning can provide even further elevated agile handling. The company offers a coilover suspension for vehicles without pneumatic suspension. It allows varying the ride height by 40 millimeters and in addition lets the driver choose between the three damper settings ‘Comfort,’ ‘Normal’ and ‘Sport’ at the touch of a button in the cockpit. 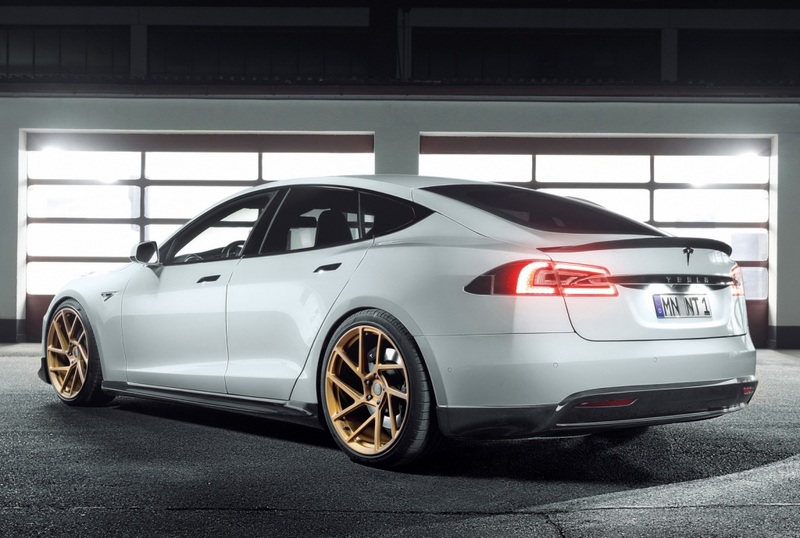 Tesla S models with air suspension can be upgraded with the NOVITEC module. It adds a modified control system that lowers the ride height of the sedan by about 25 millimeters. 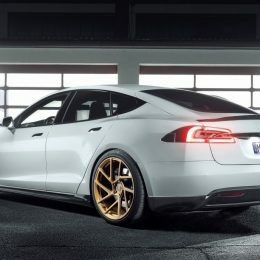 The NOVITEC carbon-ceramic high-performance braking system was developed for drivers who like to employ a spirited driving style in their Tesla S. It is available in two different versions. Variant 1 comprises vented discs of size 380 x 34 millimeters and six-piston fixed calipers for the front axle. Variant 2 additionally replaces the production rear brakes with 360 x 28millimeter carbon-ceramic discs and four-piston brake calipers. The hi-tech carbon-ceramic brake discs optimize the stopping power and the fade resistance. What is more: They also reduce the unsprung masses, which gives the luxury sedan even more dynamic handling. 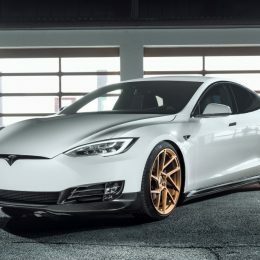 NOVITEC can tailor the cockpit of the Tesla S to the owner’s personal preferences in superb quality. The variety of colors for the high-end leather or Alcantara hides is as great as the range of options regarding the upholstery layout or the decorative topstitching.